Two years before he founded the only local peace prize in the nation, Thomas Heavey '74 was in the middle of a war. Heavey — who was elected president of the Sons of Norway in Tacoma just before he left — couldn’t believe he was on the ground at the age of 52 aiding the Iraq invasion, the beginning of an armed conflict that eventually claimed tens of thousands of lives. In that time of reflection, Heavey asked himself what modern Norway would have to say to the Norwegians of Tacoma he was then tasked with leading, as well as what Norway would say to the world in the face of immense violence. That was the catalyst for the Greater Tacoma Peace Prize, an annual award that recognizes local peacemakers from the Tacoma-Pierce County region. Laureates are honored during a ceremony at Pacific Lutheran University each year. They are nominated by their peers and selected by the Greater Tacoma Peace Prize committee, which includes Heavey and a handful of other Lutes. 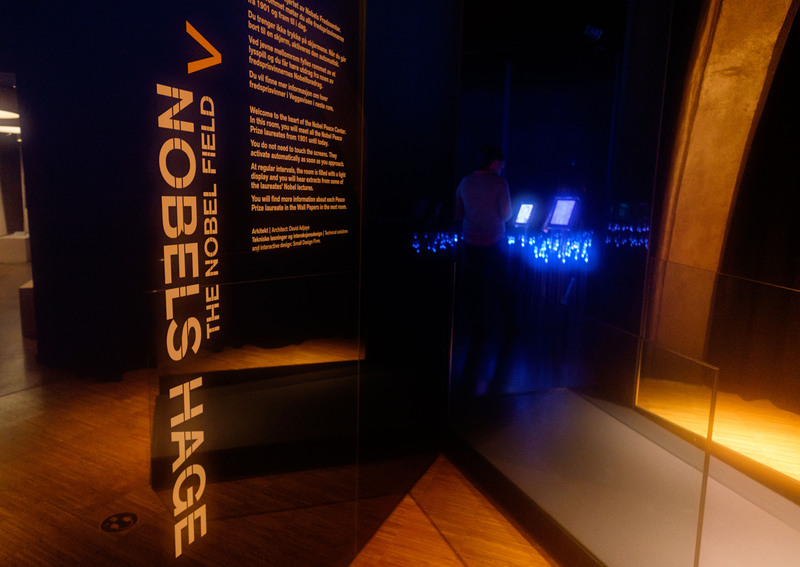 The local prize — believed to be the only one of its kind in the United States — is for everybody, Heavey said, just as the Oslo-based Nobel Peace Prize is for the world. The 2005 founding of Tacoma’s peace prize coincided with the Puget Sound region’s centennial celebration of Norwegian independence, the anniversary of Norway’s split from its union with Sweden. The timing was perfect, as the primary groups that comprise the local Norwegian community — PLU at the center — already were deep in discussions about how to honor their heritage. “Tom wanted to have a peace prize that would be considered a gift to the city of Tacoma from the Norwegian-American community here,” said Janet Ruud ’70, president of the organization. And what a gift it has been. Laureates’ passion projects have included anti-nuclear advocacy, reconciliation, racial and social equity, treating underserved patients around the world and more. This year’s laureate focuses her work on clean water and sanitation projects in rural Bolivia. Pennye Nixon is founder and director of operations for Etta Projects, an organization created in memory of her daughter, who died when she was 16 in a bus crash in Bolivia just three months into her Rotary International exchange program. Nixon believes that quality health care and sanitation create peaceful conditions, in which stable communities can progress and grow. “Peace is the opportunity to be kind, show compassion and act to advance equality,” she said. In addition to a medal, plaque and glass artwork created by the Hilltop Artists in Residence of Tacoma, the local laureates receive a paid trip to Oslo, Norway. They visit world-renowned humanitarian centers, network with leaders in the peace community and attend events affiliated with the Nobel Peace Prize, including the ceremony, the concert and the live, television interview with the recipient. 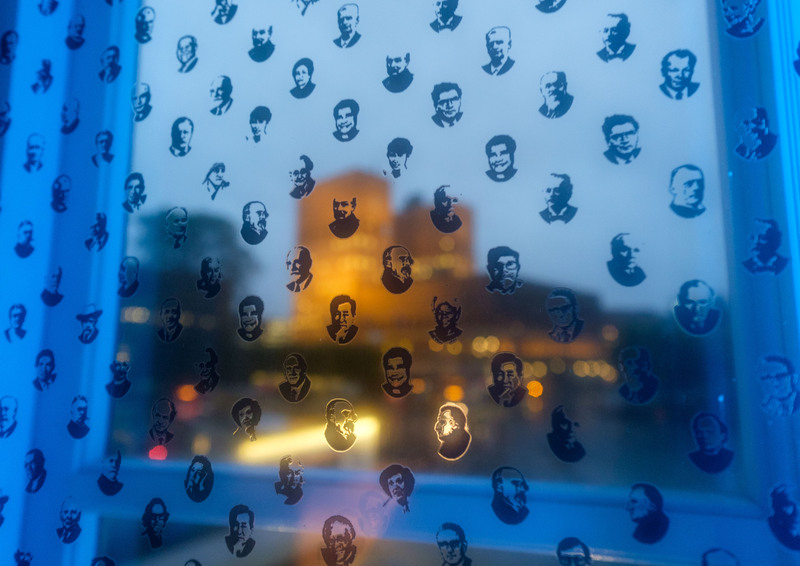 Oslo, a small but lively city, swells during the Nobel Peace Prize events in December. Many members of the Greater Tacoma Peace Prize say PLU is an obvious ambassador for the organization, Norway and peace itself. Lisa Ottoson ’87, a committee member of the organization, says her alma mater’s cultural connection is grounded in history; the university was founded by Norwegian immigrant the Rev. Bjug Harstad. 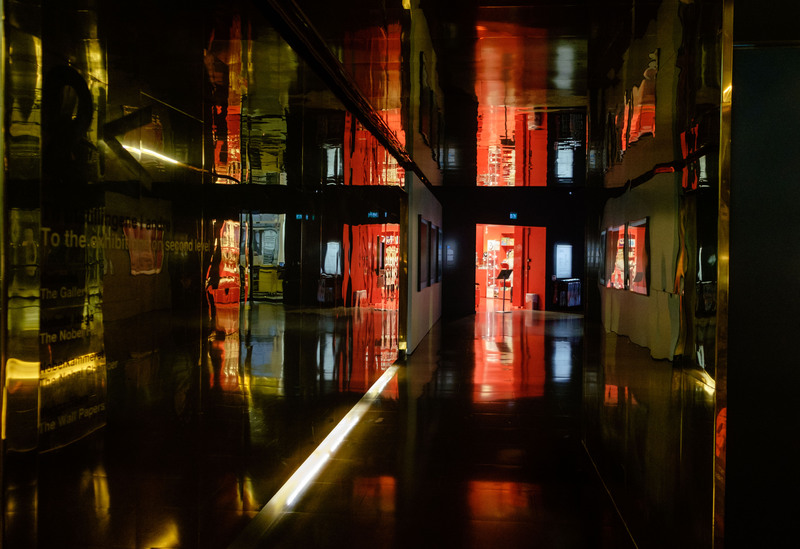 Beyond that, she stressed, is the institution’s mission, which focuses heavily on sustainability, care, equity and social justice — all core values in Norwegian society. “That’s all been a part of PLU,” she said. Russell, the organization’s first laureate, was selected for his work in the realm of peace education, security and peace awareness — on both a regional and global level. His hands-on efforts include support of local gang-intervention work, a pilot program promoting peace through high school curriculum, as well as launching groups focused on resolving the global threat of loose nukes and promotion of government transparency in the former Soviet Union, among other endeavors. Vignec founded the Salishan/Eastside Lutheran Mission in 1985. He was pivotal in revitalizing the Salishan neighborhood in east Tacoma, the largest federal housing project on the West Coast. Vignec’s work helped drop virtually every crime statistic in Salishan, an area once steeped in violence, drugs and prostitution. Corner is the founder and director of The Gathering Project, a humanitarian organization he created in 1997 after traveling to Ghana as part of a mission program there. The Gathering Project has shipped thousands of tons of goods around the world, as well as provided support for programs in North America and the Tacoma area. Alger served nearly 30 years as executive director of Associated Ministries. His ecumenical work helped bring faith groups together to build a compassionate and just community. He’s been instrumental in the founding and development of many agencies, including Pierce County AIDS Foundation, Pierce County Dispute Resolution Center, Hilltop Action Coalition, and many more. Ebert-Colella has done peace work in all areas of her life. Among her endeavors, she volunteers at Bryant Montessori School — a racially and socioeconomically diverse school in Tacoma’s Hilltop neighborhood — establishing it as an International Peace Site in 2009. She established and continued to chair the Peace Committee at the school, which has helped raise money for Pennies for Peace, an organization that builds schools in remote regions of Pakistan and Afghanistan. Mott, a retired pediatrician and orthopedic surgeon, was instrumental in the founding of China Partners Network, which works in underserved regions of China to meet the medical needs of children with cerebral palsy and other neuromuscular disorders. Bichsel is an anti-nuclear activist who was released from prison just before he earned the laureate title. He and four other activists had broken into the Navy’s nuclear submarine base in Bremerton, which houses one of the largest stockpiles of nuclear weapons in the country. Thomas Heavey ’74, founder of the Greater Tacoma Peace Prize, has said he isn’t comfortable with all of Bichsel’s actions. Still, Heavey acknowledges that peace can often mean afflicting the comfortable. Among many achievements, Shawl founded a local chapter of the international group, Jewish Voice for Peace, which promotes a U.S. foreign policy based on peace, democracy, human rights and respect for international law. Local mediator Lucien and Olson, a four-star Navy admiral and peacekeeper, were honored for being formidable advocates for nonviolent solutions to difficult conflicts — locally and internationally — for more than 40 years. Dixon, regarded as the voice of black Tacoma for more than 30 years, mentored two generations of black civic leaders, serving as a vital force in Tacoma’s 50-year drive for justice and diversity. The organization honored Dixon as its 2015 laureate in conjunction with the 50th anniversary of Martin Luther King’s receipt of the Nobel Peace Prize. Hosley was nominated for her initiative, persistence and long-term leadership of Tacoma’s Chinese Reconciliation Project Foundation. The organization named her the 2016 laureate to recognize the importance of reconciliation in peacemaking. Nixon is founder and director of operations for Etta Projects, an organization created in memory of her daughter, who died when she was 16 in a bus crash in Bolivia just three months into her Rotary International exchange program. Nixon believes that quality health care and sanitation create peaceful conditions, in which stable communities can progress and grow. The organization is now accepting nominations for the 2018 Greater Tacoma Peace Prize. The deadline to nominate is March 31, 2018. Visit tacomapeaceprize.org for the nomination form and guidelines. Ruud agreed, adding that PLU’s commitment to service mirrors the commitment of people in Norway, who are taught from birth that giving back is their standard way of life. 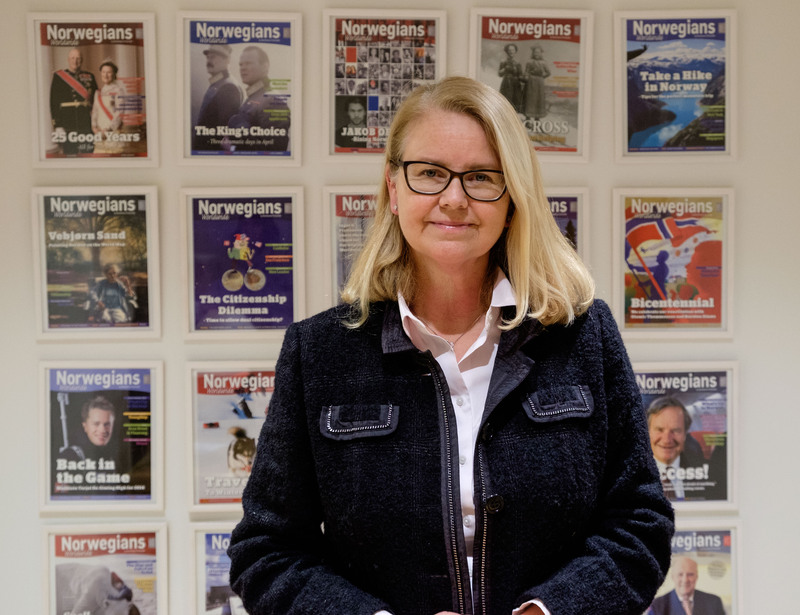 Hedda Langemyr, director of the Oslo-based Norwegian Peace Council, says peace is a part of the fabric of Norway. 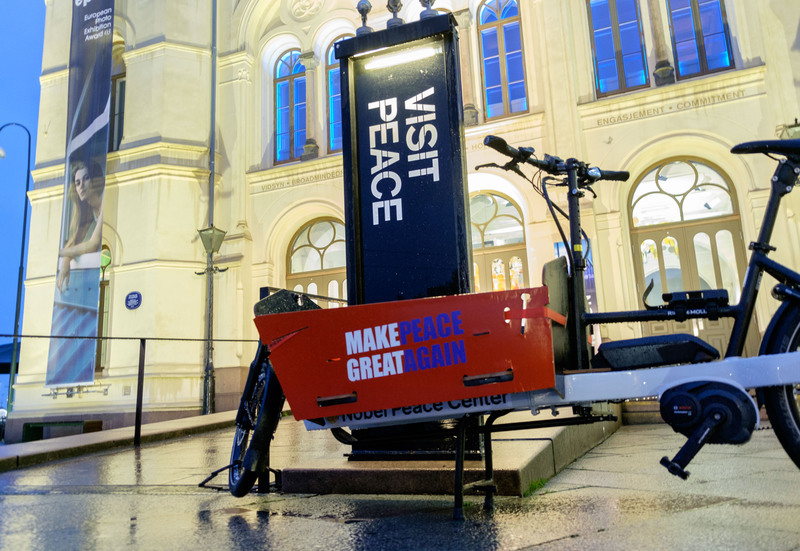 Still, she noted that Norway — as with the rest of the world — is taking a close look at what it means to be peaceful and how peace is employed. “Norway is in a position to influence and to actively take part in diplomacy and disarmament issues,” she said. Langemyr is working to build a security think tank to connect military researchers, humanitarian organizations, politicians, journalists and many other stakeholders interested in peace work and security issues. She stressed that peace is about building bridges, and the only way to do that is with intentional, constructive dialogue: as a tool for understanding, not necessarily for pursuit of agreement. 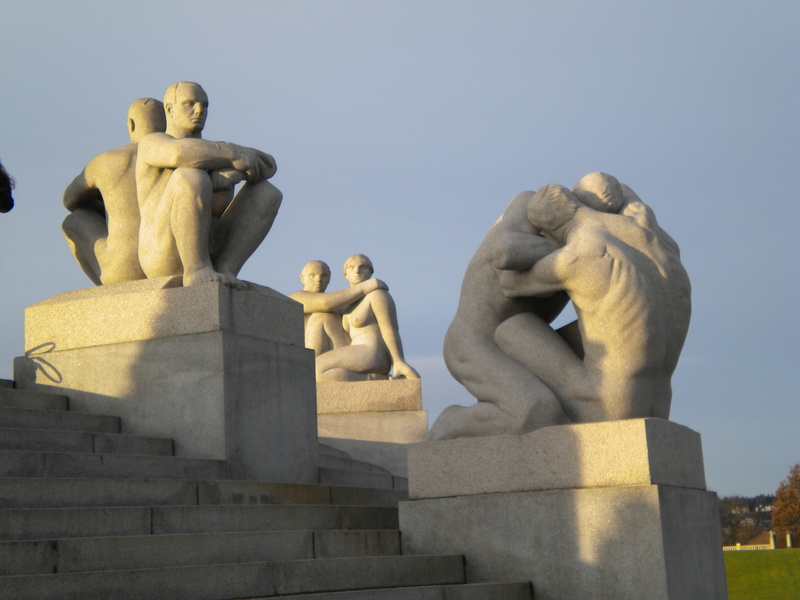 Hanne Aaberg says Norwegians aren’t afraid of discourse. She serves as secretary general of Norwegians Worldwide, a 110-year-old organization tasked with building and maintaining a global network of Norwegians; the organization hosts the Greater Tacoma Peace Prize laureate each year. Defining peace is an ongoing effort, Ruud and others at the Greater Tacoma Peace Prize say. “We haven’t defined it yet,” Ruud said. Heavey says peace is multifaceted — from civil rights leaders to the local PTA advocating for a non-confrontational disciplinary system in elementary schools. And with the exchange that happens on their travels to Oslo, those diverse peacemakers expand their footprint globally. “Whether you’re a rich man who is able to use his influence in dollars, or a poor person who goes out and speaks truth to power, you’re bringing peace to your community,” Thomas Heavey ’74 said. 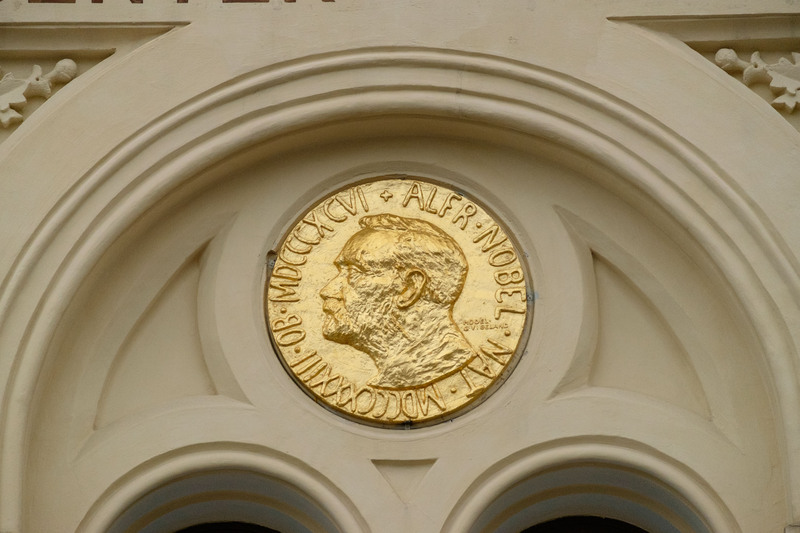 Ottoson said traveling there is a key component of the prize, to build laureates’ networks. Still, the visibility back home surrounding their work is most inspiring. Nixon says the Greater Tacoma Peace Prize wasn’t for her, it was for everyone at Etta Projects. And for the world. Ottoson said that shows her community how powerful the prize is, here and beyond. While the 13 laureates have made a clear difference in their community, Ottoson says there is still more work to be done — possibly more than ever before.